Getting your body wedding-ready doesn't happen over night. Generally, it takes a few months of healthy habits to help you feel your best as you walk down that aisle. Follow these guidelines provided by Jen Raymond of FitGirlsNW and before you know it, you'll feel and look like a bombshell in that curve-hugging mermaid gown. And no one's saying you'll have to forgo those margaritas during your honeymoon (at this point, you've earned it), but hopefully you'll love your pre-wedding routine enough to stick with it post-"I do". Be realistic about your goal, take a progress picture and measurements. This is when you set timelines and schedule your workouts and eating. You have enough time to ease into it and make it a lifestyle change. Consistency is key here. It will take at least 3 months of being consistent in your eating and exercise before you start to notice a major difference. Stay the course! Take progress pictures and measurements again – reevaluate your goals and tweak if not seeing the results you are looking for. Hopefully you have your dress now – add in some extra upper body work for a strapless gown, a couple extra leg days if you are wearing a short dress. Start to tailor your exercise to your specific dress with some extra moves each workout. Enlist support here if you feel overwhelmed – bridal bootcamps are a great way to change it up and have the support of your closest friends and family. What is working for you? Getting into the groove of early am workouts? Hitting snooze until the last minute and missing the workout completely? Let’s change it - make it work for you. Stress might be building as you get closer – find an outlet that completely calms you. Stress will kill any fat loss progress you are making. Schedule that walk with your bestie, weekly massage, yoga with your sister – whatever calms you – capitalize on that! Progress pictures and measurements again. Focus on your nutrition - are you sticking to your plan? Lean meats, good fats and veggies are your staples. Pay attention to any food that might trigger a slide down a slippery slope. Keep up on your water intake for your health, as well as to keep your body hydrated and looking it’s best. Plan ahead – there will be lots of celebrations around this time – make sure you truly enjoy the foods you are indulging in. Don't just eat to eat. Exercise must stay consistent – If you are running short on time, make it a 15 minute High Intensity Interval Workout – make it count! It’s never a good idea to go to drastic measures at the last minute – the compromise to your health, as well as the likely rebound after the big day isn’t good for your body or your self esteem. Focus on reducing stress, you and your loved ones, and being the happiest and healthiest you can be for your Big Day! 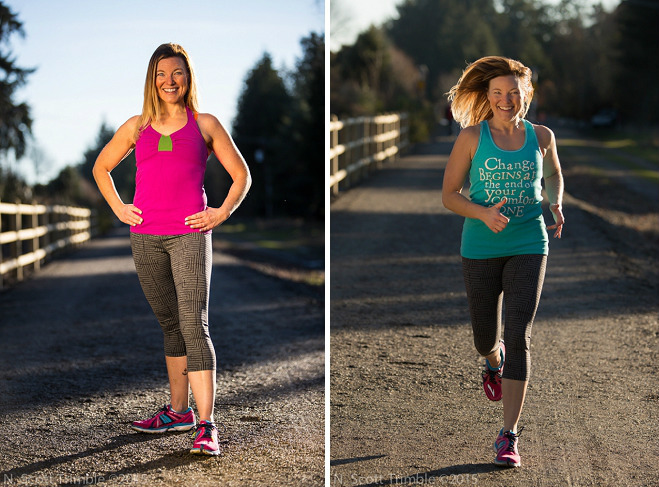 Jen Raymond is a National Personal Training Institute Certified Personal Trainer and Precision Nutrition Certified Coach and has been in the business for over a decade. 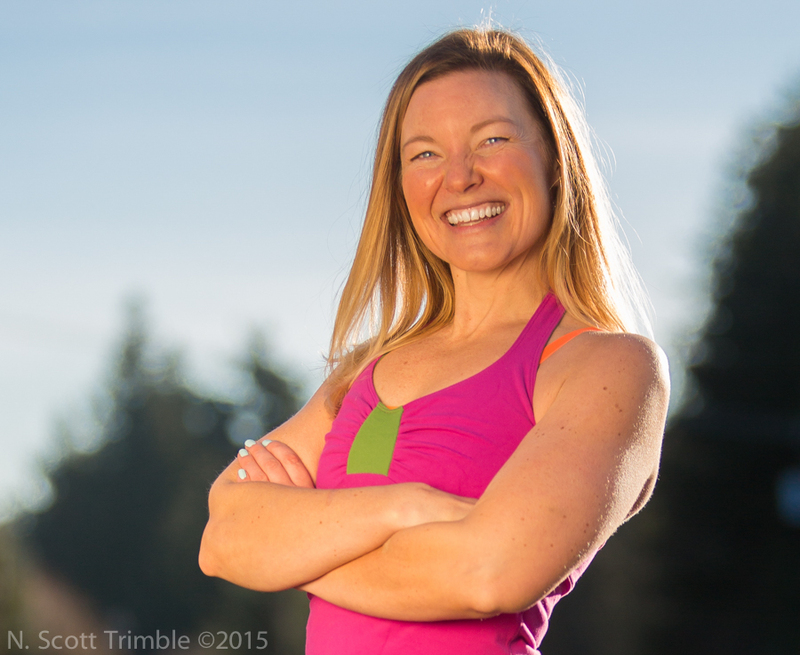 She recently launched her fitness training business for women - FitGirlsNW.